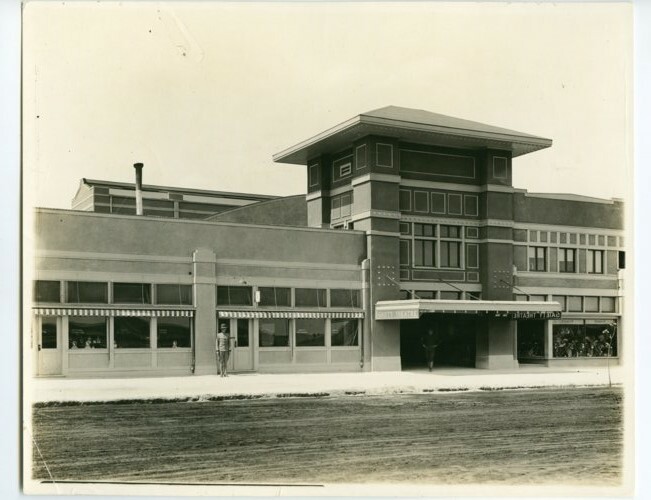 This is a photograph of the exterior of the Gaiety Theatre on the zone in Army City, Kansas. Army City was a boom town built in 1917 primarily to satisfy the needs of Camp Funston. The town offered closer business and recreation facilities than did either Manhattan or Junction City.